All The Money in the World book (not the song!). 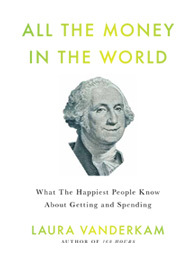 This is a review of Laura Vanderkam’s thought-provoking book about money. Before I get into a review of the All The Money In The World book; a short personal story. I had stopped buying books (one of my greatest pleasures) for some time, in an attempt to be uber frugal. After reading the book, I realize that was a mistake. More on why later. But it just so happens that I had some extra cash, a pretty hefty sum, because I had recently sold my car. Having this cash taught me something about myself. Namely, that I like having some money. To be more specific, I like having more money than I have had in recent months. It makes me happy! And not having it makes me feel stressed and grumpy. Since getting married, my household income increased dramatically, but my personal income dropped considerably. If you’re new, less than 3 years ago I was a single divorced mom of 4 kids, supporting my family with the earnings from my online ventures. 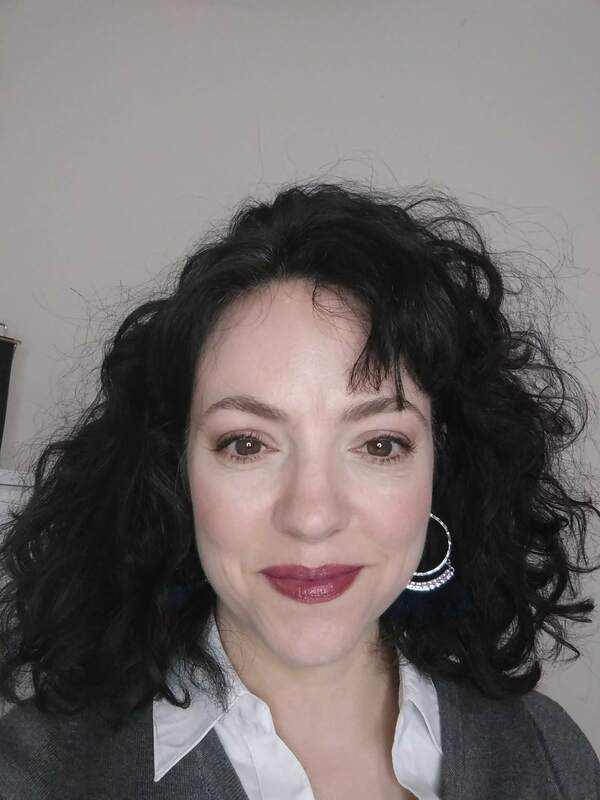 Within a year I gained a husband, two kids (a stepdaughter and an “ours” baby, and I’m pregnant with another), moved to a new town and my social life also changed considerably. Not blaming my husband mind you. I got pregnant right away, was very sick and the many life changes happening so suddenly threw me for a loop. My business took a huge backseat to blending this new family. None of the money I’ve spent could be deemed extravagant or wasteful (save the latte I’m currently drinking! ), in fact most of it has been spent on truly needful things: clothing for the kids, new books for homeschooling, maternity clothing, a nice new mop when my old one broke. But all of these expenditures have made me happy. Especially the books. So which is true? Does money make us happy or not? Turns out we have a bit of help answering this question. Many studies have shown that increases in personal income do increase happiness, up to a point. People who live in countries that enjoy higher incomes (the US, Scandinavian countries, Europe, etc) report higher levels of happiness than people living in poor countries. One researcher said the magic number was around $75K annually. Having enough money to cover necessities of life (plus a little extra) means that life is less stressful. In the US, $75K means our basics are covered. You don’t have to sweat housing, food and clothing. A car repair bill won’t put you in the poor house, and you can buy your child new shoes when their old ones wear out. Because of this, the author of the All The Money in the World book encourages people to think about increasing their income rather than engaging in extreme penny pinching, if those frugal practices make you miserable and stressed out. This is especially true if you enjoy your work – and I certainly do. But from here on out, I’m going to evaluate the things I do to save money and ask myself whether the savings is really worth the extra hassle. As an example, trying to lower my grocery budget past a certain amount while still providing my family with a nutrient dense diet has proven to be too stressful to me. It’s better to spend a little more in this area. Here we come to the principle of opportunity cost, mentioned again and again in the book. When you decide to spend time doing one thing, that is time that you cannot spend doing something else. I remember being shocked when I read that Michelle Duggar uses paper plates exclusively for her family’s meals. And other than shopping at ALDI, she also doesn’t seem to stress about what groceries cost. And yet she embraces many other frugal practices. Apparently it’s just not worth it to her to worry over keeping a tight grocery budget. She would rather spend time writing a book, presenting a speech to a women’s group, or homeschooling and rearing her children than spend hours poring over grocery store sales circulars and cutting coupons. While you can make more money (true for almost every single one of us), you cannot make more time. You can only take time from other activities. We all have 24 hours in a day. Lost opportunities = lost income. * One of the things I changed immediately about my schedule after reading the book? I started spending more time working. I made a schedule to increase the time I spent writing. What would you change about your life if money was no object? It’s never going to be a reality for most of us. But that’s ok. It doesn’t take a lot of money to be happy. Since most of the things that bring people joy are free (relationships, meaningful work, spirituality), the trick is to figure out what expenditures do give you an uptick in happiness. Another purpose of tracking money you spend is to figure out if that spending is in line with our true values and priorities. It can be extremely fun and enlightening to get a blank sheet of paper and ask yourself what would you change about your life if money were no object? Maybe you would travel somewhere. Maybe you would never color your own hair. Maybe you would get weekly pedicures. Maybe you would write a book. Most of these things are completely attainable even if you aren’t independently wealthy. I was friends with a married couple who worked cleaning houses – but only about 20 hours a week. It simply wasn’t their goal to earn a lot of money. However, they traveled somewhere exotic several times a year. How? By cutting out the expenses that didn’t matter to them. They always wore a uniform, for one. Every time I saw them they had on the same jeans, the same black leather belt, the same Docs, the same Gap jeans and grey T-shirt. Spending on a fancy wardrobe wasn’t their priority. Skiing in Switzerland WAS. I’ve always wanted to go to France. It’s been a dream of mine for as long as I can remember. I started a new savings account in ING to begin saving for this goal. Just thinking about it makes me happy. It might take 10 years, maybe 15. But some day I’ll get there. * I’ve also resolved to stop feeling guilty about small purchases like buying books (one of my favorite pleasures) or coffee. Research shows that small, frequent experiences contribute to overall happiness more than rare, big events. 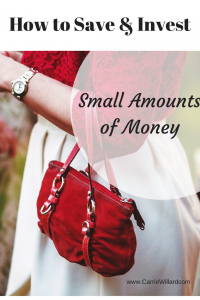 * I started keeping a spending diary, not for the purpose of increasing my frugality (I probably already lean too hard on the side of “cheap”), but to track how the expenditures made me feel. All the Money in the World Book: What the Happiest People Know About Getting and Spending might change the way you look at money too. I highly recommend it, and Laura’s other book 168 Hours: You Have More Time Than You Think , is also excellent. What connection do you think exists between money and happiness? Please share your thoughts in the comments. p.s. You might also enjoy reading The Happiness Project if you like exploring the connection between money and happiness. LOVE this!! I’ve always thought I want just enough money to not worry about money. I’ve found pinching pennies when I go out to eat takes away a lot of my joy, it isn’t worth it. I’d rather spend an extra $5 and get what I want! Seems silly but when you’re on as tight of budget as I am I really stress over those $3 and $4 differences and if I let it, the joy I get from eating out (one of the best treats for me) can be completely lost. So I might not eat any junk out all week and have one nice dinner out ordering exactly what I want. I’ve found this is true “hunting for deals” also. With gas so high it isn’t worth the time or expense to drive all around town for several hrs to get free chapstick. Since I’ve gotten my taxes back and finally have money in savings and in my checking account I have been much happier! It’s a relief to know that I can fill my tank up all the way without worrying if there is enough to cover it or if I must go to the doctor (I don’t have insurance) that we will still be able to eat that week. Money does equal less stress for me to a certain extent and therefore more happiness. I get grumpy and stressed out when funds are low. I “feel better” when I know there is money in the bank. I don’t have to stress out as much if we have an unexpected bill ($1000 for new rims and tires for the van) since I know it won’t have to come out of my normal food budget. But I don’t want to get into the mentality of striving for the riches in this system. We all know it’s going down the drain, and I certainly don’t want to be washed out with it. But I agree on having the basics to cover our needs and a few splurges every now and again. Carrie, I loved this book, too (as you know!) and you’ve done a great job capturing the essence here. I had a similar takeaway about working v saving money after reading All The Money. I enjoy working a lot more than I enjoy many frugal practices, so I’m going to move a few hours in my week from the “saving money” to “earning money” categories. Wow, this is so totally helpful. I love the point about books and lattes. People often say, “If you didn’t buy a coffee every day, you’d have $500 at the end of the year” or something along those lines. At first, I bought into that (so to speak), but then I realized, maybe the coffee every day is worth more than the $500 at the end of the year. Now, as it happens, I make my own coffee b/c I’ve just grown to like it better and find it easier. But the point is the same. It’s just a matter of really thinking these things through and being deliberate about our choices. You are SO honest. It’s really refreshing.